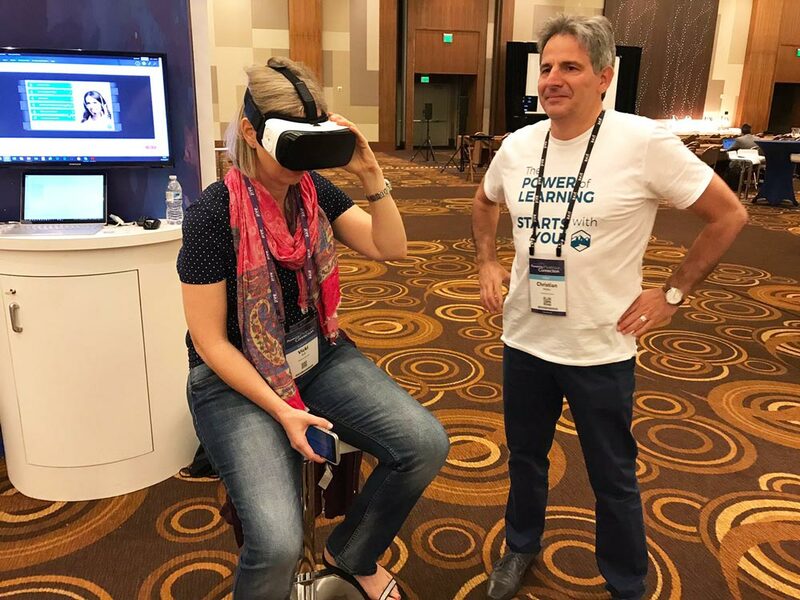 JiveWorld17 – The power of learning starts with you! 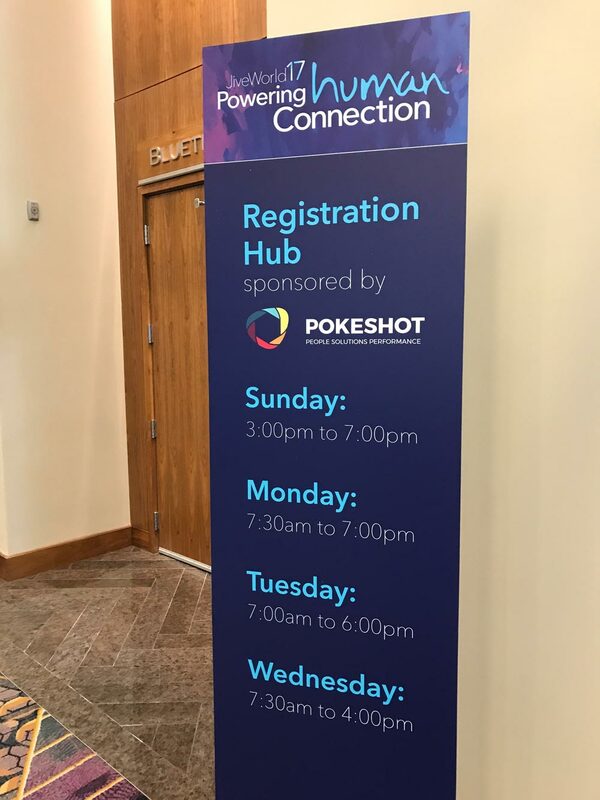 Knowledge is not about technology, it’s about people – Three really successful days as a gold sponsor at the JiveWorld17 conference are in the books and seven members of the Pokeshot team used the time to exchange ideas with partners, make new interesting contacts and meet existing customers again. 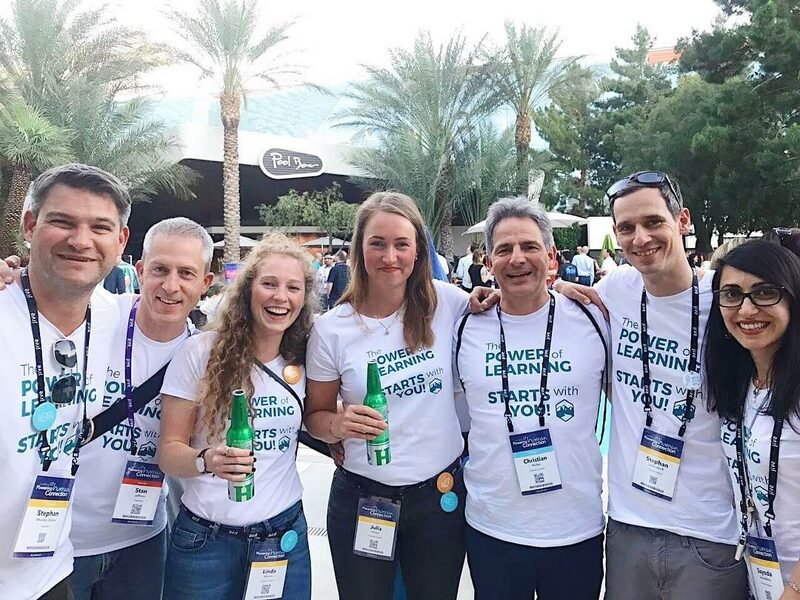 The personal message we shared at our booth (and t-shirts) was: The power of learning starts with you! What is meant by this is that “knowledge” is not about technology, it’s much more about people! People learn by sharing and networking. In other words, learning begins with you! 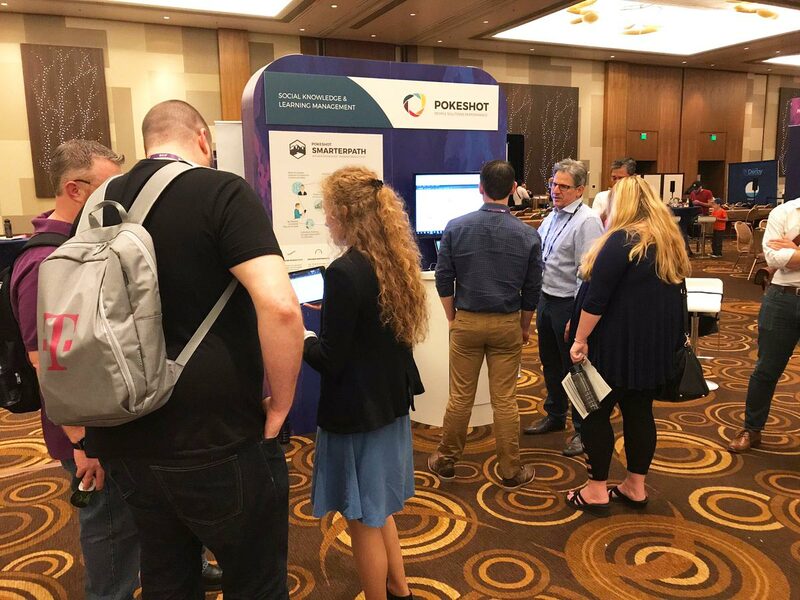 This peer-to-peer approach is also followed by our Social Learning Solution SmarterPath, which we unveiled in its completely new design at JiveWorld17. 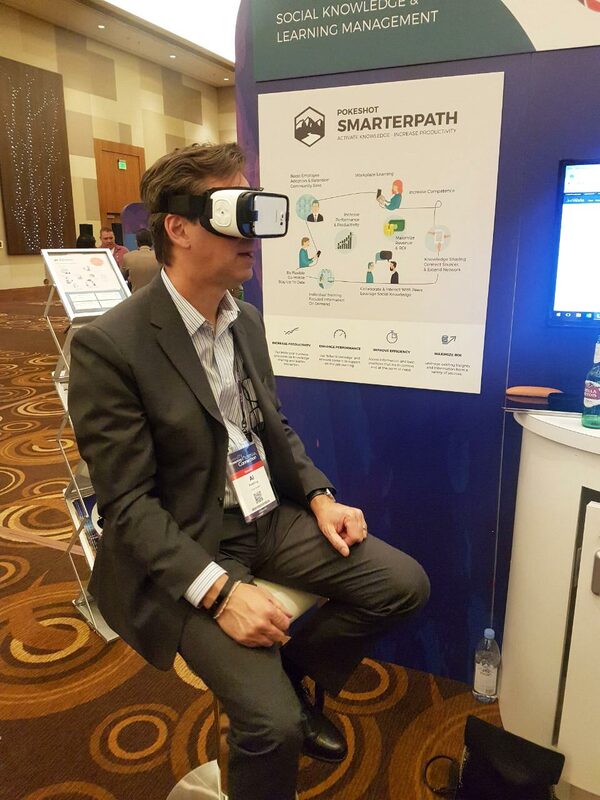 With SmarterPath, the benefits of online learning are combined with social collaboration attributes to provide a learning experience that supports ongoing learning and puts people at the center. For example, the types of content that can be incorporated into a “course” vary from Jive content and Office documents to elearning modules and videos to community information and web resources. In this way, a “course” is not too structured (that can be boring and demotivating) and it includes the kind of context that can only come with a social learning solution. 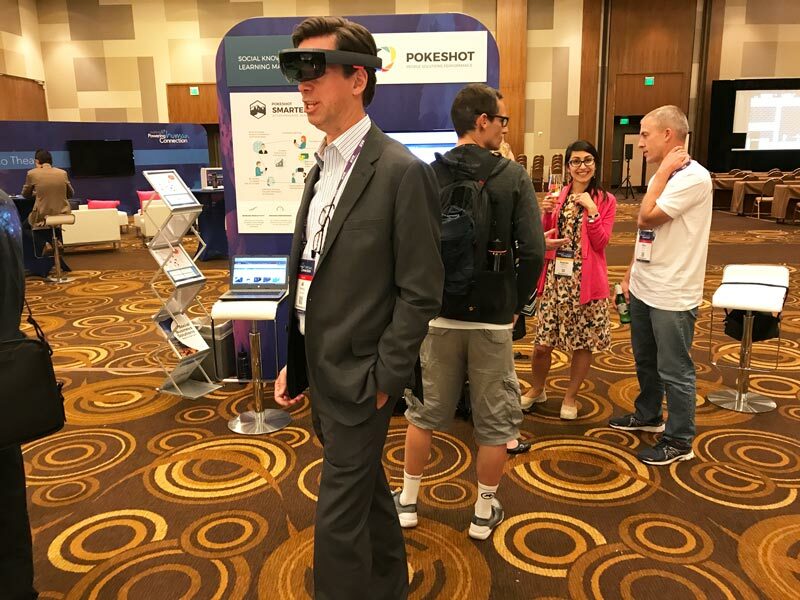 At JiveWorld we introduced a number of technology trends, such as AR, VR and MR, which we are already applying to SmarterPath or which will be increasingly integrated in the future. AR (Augmented Reality) is the computer-assisted extension of the perception of reality or a visual representation of information. VR (Virtual Reality) is a computer-generated environment where one can interact in digital form. MR (Mixed Reality) is the combination of both. In the future, all of these trends will become increasingly important. 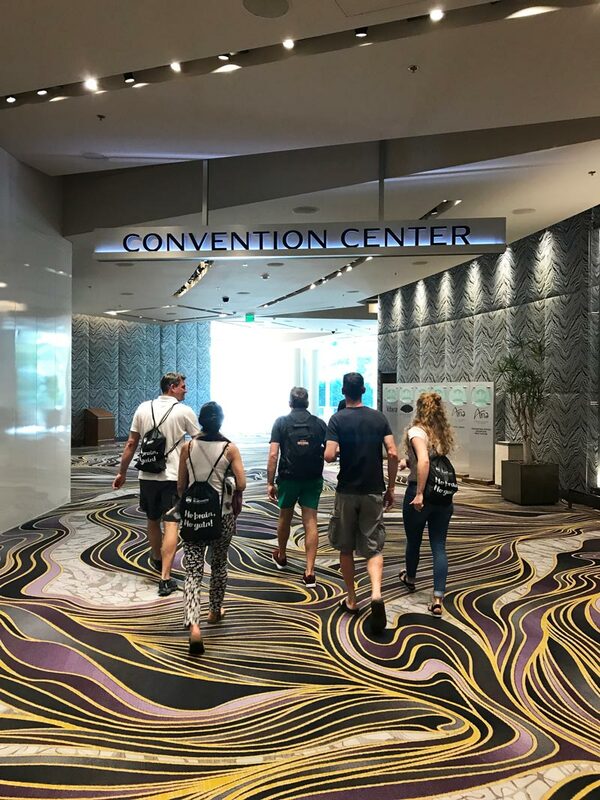 In our Learning & Development Track, customers shared many ways that the Jive platform and its ecosystem can be used as a tool for active knowledge management. 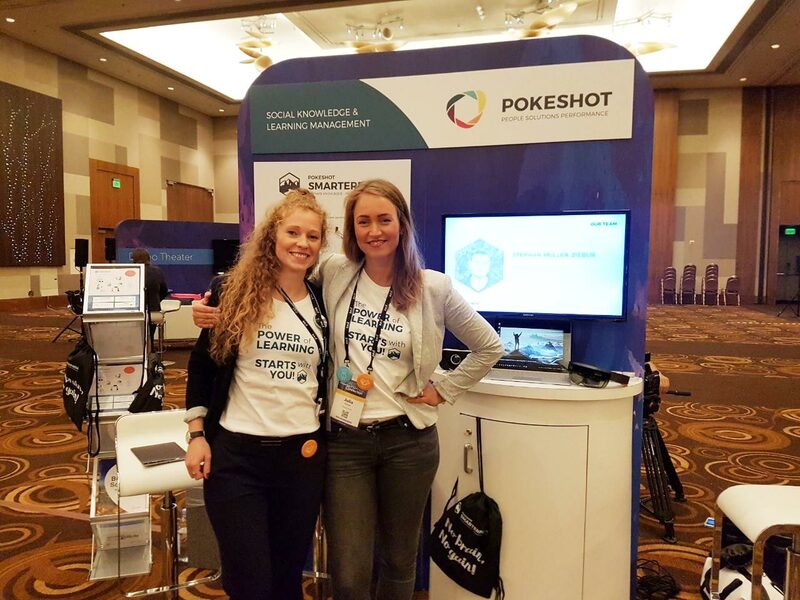 For example, leveraging SmarterPath and social learning to support employees and their sales performance with a dynamic learning path that is an alternative to a classical learning management system (LMS). 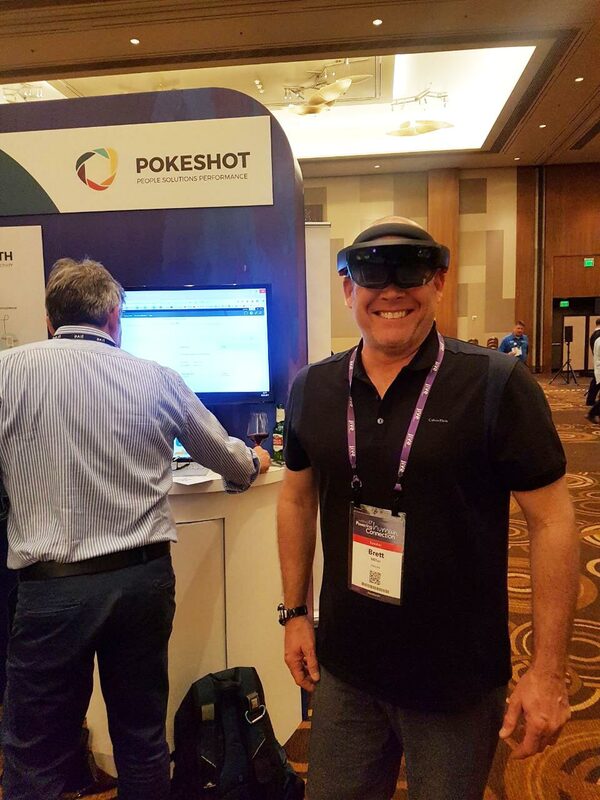 JiveWorld17 was a great success for Pokeshot! We would like to thank you for the many interesting discussions and new contacts and hope that we will welcome you again soon.